The problem is, there’s confusion about what it really means to forgive. In part 1, we’ll look at the 3 main stories we tell ourselves that may be preventing you from forgiving and keeping you locked in a cycle of pain. It’s an inspirational story of transcendence and freedom which paints a picture of what’s possible, even in the most horrific of circumstances. For many years I have specialised in working with people who had experienced sexual or physical abuse of some kind and, as you can imagine, I have worked with people who have suffered from some of the darkest of human experiences. Forgiveness had seemed like a pipe dream to many of them, often in spite of many years of self development and healing. But it has been my privilege to guide them to the self-release and life transforming freedom of the forgiveness they thought they could never find. More than anything I’ve see how people go down the painful road of defining their life by the things they have not forgiven. I’ve seen how this lays down walls of limitation which leave them feeling trapped, alone, powerless, afraid and depressed. When they finally empower themselves and forgive, there’s a background shift in how they experience themselves and life. It’s so profound it is hard to put into words, but it changes everything and brings a LOT of deep and unbridled smiles. The idea that by not forgiving, we somehow impact the other person is at the heart of the myths that prevent moving forward. It’s a disempowering position that requires some hard but healing truths to shift. This is a passive aggressive strategy which hopes that they will focus on your lack of forgiveness, take it as punishment and feel bad. They rarely do, but if the strategy is successful then you are both colluding in a very toxic dynamic. This is a justification for holding on to pain. It’s a more introverted, projection based story which again comes from the illusion that your lack of forgiveness impacts another. It’s an attempt to reclaim some sense of power, but actually results in the opposite. Forgiveness has nothing to do with condoning their behaviour and everything to do with letting go within the self. So, not forgiving is only denying yourself your freedom from the past. This is so highly trained into our cultural psyche it can be tricky to untangle. But when the realisation comes, it can be the key to the cage. Forgiveness is very much an inside job, and an act of self-love which can free up a lot of energy, light and joy. Generally what it takes to reach forgiveness is the acknowledgement of the pain and hurt plus reaching some sense of being heard and understood. This can be done with the person you need to forgive, and when (as if often the case) that isn’t possible, it can be done within the self. Professional support can be really critical here, to get right to the core of it and fully release. When you deeply realise that their ‘unforgivable’ behaviour is not personal, forgiveness is automatic. 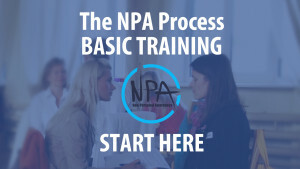 And of course, that’s the genius of The NPA Process, especially when working with someone who is experienced and skilled at spotting the right cookie cutters (or key expressions) which allow the process to be laser focussed. Given my history of working deeply with the emotions and ‘unforgivable’ situations, it was a surprise to me when I developed The NPA Process that profound forgiveness would often come along as a natural side effect, and even quicker than the methods I had used before. Of course there are times when working with the feelings, the history and engaging in forgiveness focused dialogue are necessary and can’t be circumnavigated. So in my practice, a combination is always available. I’ve not yet come across a situation that is truly unforgivable. Many are truly horrific and could never be condoned… but, with the right work and support, forgiveness IS possible. Someone’s forgiveness of you (or not) is their business. If you can forgive them for not forgiving you, then you are taking care of all that you can. Of course, if the situation merits it (and they are willing) then an open hearted conversation may help them… one where you truly and fully hear and understand their perspective, you can empathise with their pain and genuinely apologise for anything that you feel you need to… and even so, in the end, it is for them to forgive. Whether it’s an experience of abuse, or something you judge as painful but less traumatic, like infidelity, betrayal by a friend, something said that you found deeply hurtful… whatever you are holding ‘unforgiven’ is poisoning you and holding you back from fulfilling your potential. 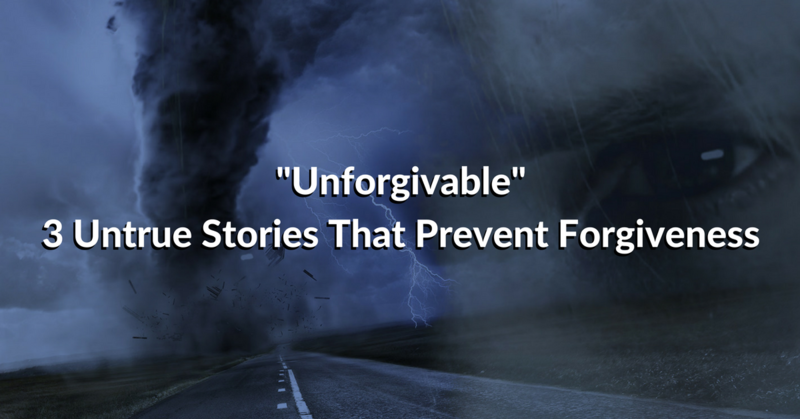 And whether it’s with me, on your own or with someone else who has expertise in this area, I strongly encourage you to take another look at anything you have filed under ‘unforgivable’. If this article raises any questions for you, please feel free to let me know in the comments. Your shares are also very much appreciated.